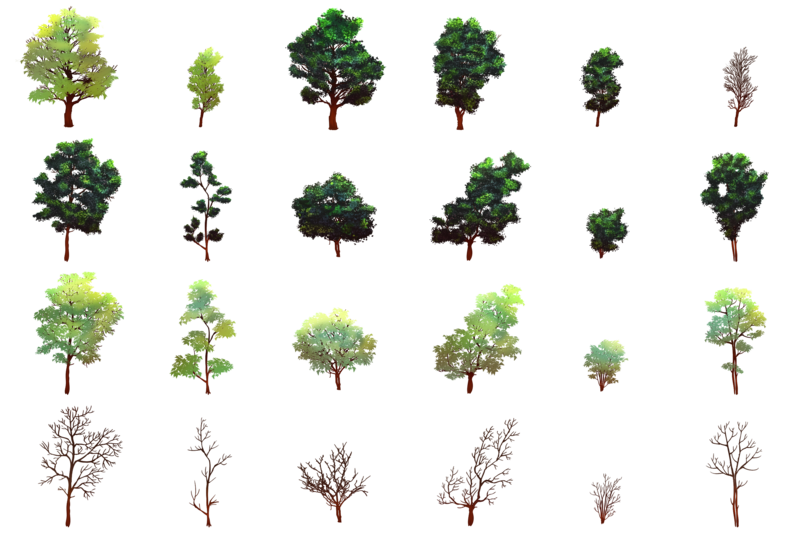 - One 3000x2000px spritesheet with 24 different trees! 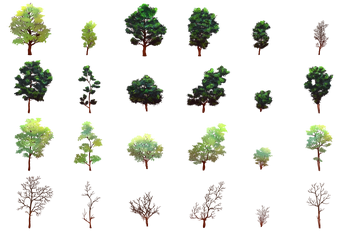 The trees come on transparent background and can be used for sidescroller. You can get 4 additional spritesheets with trees by becoming my patron! If you like what I do, please consider supporting me there! 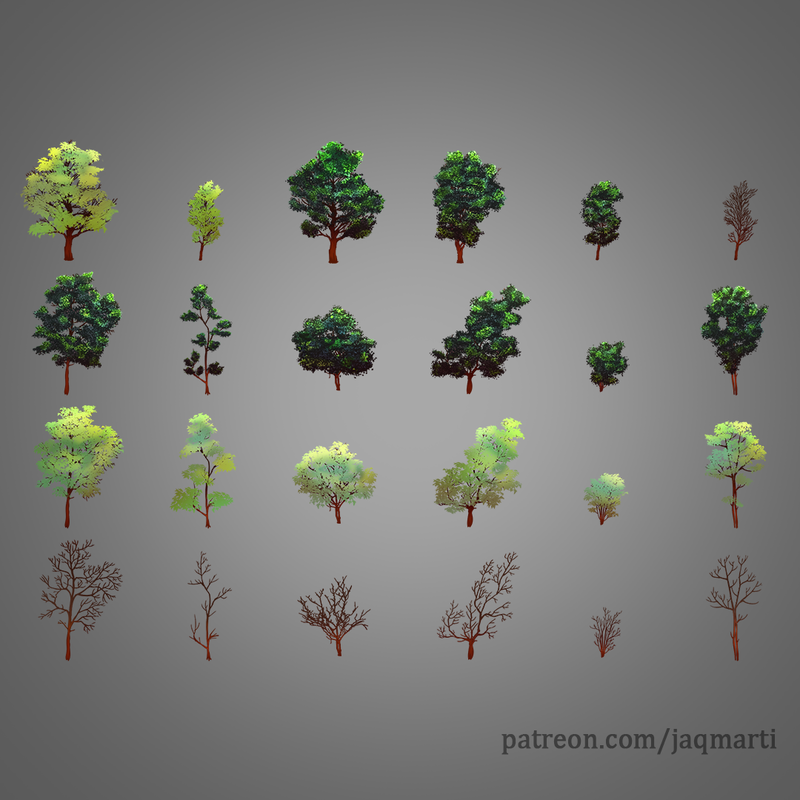 Patrons also get all the PSD-Files to make changes of their own and the possibilty to vote for next assets!